When it comes time to purchase industrial supplies for your business in Kansas City, Kansas, finding a reliable distributor that you can count on for quality products and exceptional customer support is essential. That’s why your choice should be Wm. F. Hurst Co., LLC, an industrial supply distributor that has served cities throughout the Midwest since 1962. We have an unmatched level of industrial supply expertise, not to mention an expansive selection of products from the most reputable and trustworthy names in the industry and in-depth knowledge of all the industrial supplies we offer. We also are committed to helping our customers find ways to reduce costs and improve their overall operations, and we’ll take the time to assess your company’s needs and make suggestions on tools and supplies that can help your business run smoothly and efficiently. Plus, we offer inventory management solutions and innovative tool vending systems that can help you control your inventory costs. 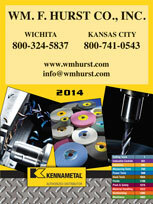 To receive more information about the selection of industrial supplies we have available for businesses in Kansas City, KS, please contact Wm. F. Hurst today.